For episode 25, we will be doing a segment that I call AMA, Ask Me Anything. If this is your first time tuning in, AMAs are when I have the utmost pleasure of connecting with a seasoned or a former consultant and they share their career journey and give you advice. We have Michelle Florendo. A little bit about Michelle, she’s a former consultant, engineer, and now a career coach for Type A professionals. 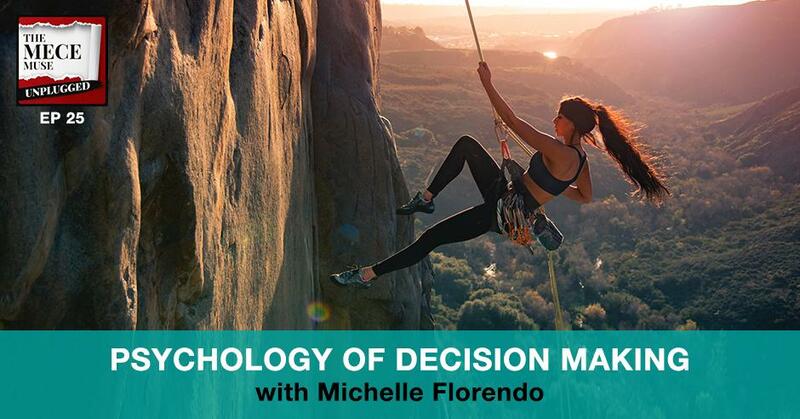 In our conversation, she really discusses her career journey and helps break down components of strategic decision-making techniques that you can actually apply immediately in your life. You can also check out my website. Go to MECEMuse.com for tools, links and videos from the show notes where Michelle provides some really actionable information to really help you along your journey to greatness. We want to get your thoughts. Let us know what you like, what you dislike, what type of guests you want to see more of and less of. We love to make sure that we continue to meet your need and we thank you so much for all of your support. We’ve gotten such a great outpouring of support and that’s really kept this pop-up podcast going. 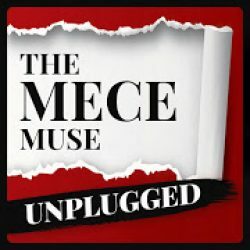 In the meantime, if you’ve got advice or any feedback, feel free to drop us a line MECEMuseUnplugged@Gmail.com. Michelle, thank you so much for joining us on The MECE Muse Unplugged. How are you doing? I’m doing well. Thanks for having me. I’m definitely excited about our conversation today. Before we get started, maybe you can take a moment to introduce yourself to the go-getters of The MECE Muse Unplugged. I feel like with all the different things that I’ve done, the way that I boil things down. I’m essentially an engineer by trade, that’s where I started, but also a Type A management consultant, former brand marketer turned career coach for high-achieving professionals. It’s just such a nice mash-up, so engineer, consulted and then was a coach. Maybe if you can take a step back and share how did you decide to go into consulting. If you can share with us, that’d be great. Looking back, I have no idea what consulting was when I started college. I feel that can sometimes be a common thing because to this day, my dad does not understand what I did when I was a consultant. Originally, I was really good at math and science, and so going into school, I went to Stanford, I really knew that I wanted to be an engineer. I wanted to be able to use my analytical skills to be able to solve problems. Engineering seemed to be the way to do it, settled on industrial engineering with a specialization in decision engineering. Over the course of my undergraduate career, I found myself interacting with a lot of different students who were interested also in problem solving but more on the business side of things, and so they were talking about management consulting. Again, I went into school having no idea what that was, so I’d ask, “What’s that?” The way that it was explained to me was that consultants essentially get to go around and help companies and other organizations solve their problems. I thought, “That sounds awesome. I love solving problems. I would love to help solve problems for other people as well.” When I was going through recruiting, I looked at a lot of different consulting companies and found one where the people were just a really great fit and decided to start my career there. 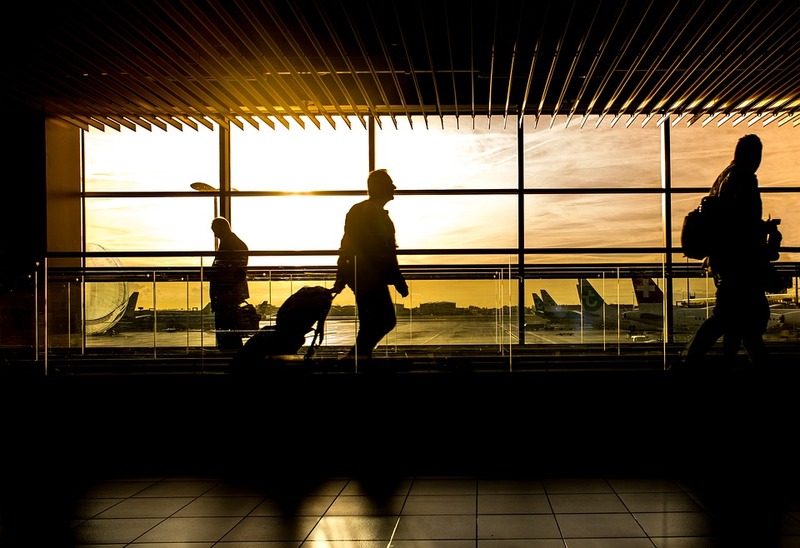 Even though I eventually left the world of consulting, it was such a wonderful place to learn and really get great exposure to a number of different things. If I had to do it all over again, I still would. You mentioned when you were in consulting and all of the great experiences you have, maybe if you could share a story of your aha moment when you decided that it was time to make a different decision. Maybe share a little bit with us the crossroads you we were at and how did you make the leap from consulting into coaching? I’ll definitely talk about how I made the leap from consulting and then I did a number of different things before I ended up in coaching. Consulting was a really great place for me to start and just learn the ropes of being able to interact with clients, work on a team, solve ambiguous problems. I was working at essentially a boutique consulting firm, over the course of my time, I found myself not seeing a future for myself at the firm. Because while I continue to learn, the things that I was learning was not necessarily the direction in which I wanted to grow. I just remember being on a particular project and it was incredibly stressful, the client was just really demanding and I just hit a point where it’s like, “This is not where I want to stay for the next five years.” At the same time I felt so lost because I hadn’t actually done the thinking around, “What is it that I would do instead? What is it that I actually want to do?” I just knew that what I was doing at the moment wasn’t it. Because I didn’t have a clear vision of what I wanted to do next, I felt really stuck and stayed that way for a bit of time until I was talking to mentors, talking to fellow alums. One of my mentors said, “Michelle, so let me get this straight. You studied decision engineering and you use this skill set to help companies make the best decisions for them. Why not use that same skill set to make the best decision for yourself?” I thought, “Why didn’t think of that?,” so it speaks to the fact that it’s so valuable to have mentors sometimes, just people on the outside to point out what may have been right under your nose the entire time. With that advice, I leaned back on my training and decision analysis and really thought through, “What is it that I want? What were the decisions that had me arrive at this place? What were the factors of those decisions that didn’t work for me anymore? How did I want to change? What options existed out there that could be a better fit? We’ve all gotten to that stuck moment within our lives, and I know I’ve had a couple moments like that. It was great that you had such an amazing mentor to really help you see that because the answer is sometimes right in front of us. Sometimes it’s just hard to see. We’re just like up to our ears in something else. I came across a quote you said that I actually think I’m going to print it out on and frame it and put it in my office, because it’s such an important and grounded quote. You mentioned in the video, you said, “What we were taught is to be successful but not to be happy.” That’s such a powerful quote and it’s so important for people to think about that sometimes, especially in careers that are as demanding as consulting. Maybe if you could share a little bit of context of that quote where you were coming from in that phase? A little bit about my background. I’m the daughter of immigrants. At least the story that I grew up with, and this is going to be my best impression of my dad, was the key to success is to study hard, do well in school, go to college, get a good job. I don’t know if that story or that formula resonates with you, but that’s what was drilled into my mind growing up, and I said, “I’m going to do that. I’m going to study hard. I’m going to do well in school, I’m going to go to the best college I can go to,” and then I’m going to go and get that “good job.” What I realized was that wasn’t it. There was still more to the so-called formula, especially since that formula worked for me in order to get to a place where I was successful, but that didn’t necessarily mean that I was happy. Sometimes we conflict the two, it’s something that I see a lot in the clients that I work with in my private practice where they’re high-achieving Type A professionals. They know the things they need to do in order to succeed. They had their plan. They planned who knows how many steps in advance. They executed against the plan and they’re there and they’ve made it and yet something doesn’t feel right or it doesn’t feel fulfilling. Maybe it did in the beginning, but over time they realize something is missing. That’s a trap that high achievers can really fall into sometimes, especially because we’re so used to being able to execute so well against this plan, this plan of action, this pre-carved out path. That we forget that there’s this other component to life and that’s doing the work, doing the self-reflection to really understand, outside of what we’ve been told is success. What does success actually look like for us? What does that mean and how does that either align or differ from these pre-carved out paths that we’ve been made aware of? You said that story, and I was watching your video and I felt like you were talking to me. I really did because I was thinking about it, I was like, “Michelle’s dad and family must know mine. They must be reading the same playbook,” because I heard the same things growing up. I actually ended up going to business school because that was the thing my mom told me that I should do in order to be successful. I had four career paths, I become a doctor, a lawyer, an engineer, or an entrepreneur. I don’t like blood, I didn’t know if I wanted to really be a lawyer, I’m not really that great of an engineer, I don’t see myself doing that. I was like, “I’m going to become a business person,” and that’s how I made my decision. It’s funny how that decision is what led me down this path. I didn’t know what consulting was either, so it’s just fascinating. I don’t know if it’s the first generation experience or if it’s others. I’m curious if others have the same mentality. You speak to a lot of different professionals. What’re your thoughts? Is this isn’t an immigrant experience? Decision Making: Decision making doesn’t have to be this stressful experience. It can actually be really empowering. I’m glad you mentioned decision because it is a nice segue to my next question. Since you did study decision analysis and I know that’s probably the framework of a lot of the work you do, it’d be great if we can talk about that for a second. I would love for you to share with our go-getters if we take the idea of decision and we unpack that, maybe you can share some thoughts on ways that people can make more meaningful decisions, if they are stuck or if they’re trying to solve a specific problem. Share with us some of your best practices. Sometimes that lands with people. The way that I like to explain it even further is decisions are about the things you can control. Uncertainties are the things that you cannot control, and you can’t beat yourself up about the uncertainties that you can’t control. A classic example of this is if you think about the weather, we get weather reports and I still find it fascinating that in this day and age, we can’t fully predict the weather, but let’s say that you wanted to go to the beach this weekend and the weather reports say that there’s only 15% chance of rain. I would ask someone, “Given the 15% chance of rain, would you choose to go to the beach if that’s how you want to spend your weekend?” They may say, “Yes.” Let’s fast forward. Let’s say you go to the beach and then it rains. Now was that necessarily a bad decision? Most people would say no. It wasn’t your fault that it rained and by all measure of the information you had at your hands, you didn’t think it was going to rain, it was only 15% chance. If people realize and just internalize the fact that their decisions and the quality of their decision, whether it’s good or bad, is separate from the quality of the outcome, it’ll free them from a lot of stress. Because they’ll recognize that you can only worry about making the best decision you can and all the uncertainties that are outside of your control, you’ve got to let go of. The good news is that once you’re at the beach and if it’s raining, you have a chance to make a new decision. You can empower yourself to choose to go into a restaurant and get out of the rain. I’m sure people listening to o this episode are going to probably be freed from the chains of not acting sometimes. Not only like, “Can I make a bad decision,” but sometimes people don’t make decisions for fear of missing out on the unknown. What you just said was just so spot on and I can just hear chains breaking literally, people rethinking that. That was really powerful. Thank you for sharing that. 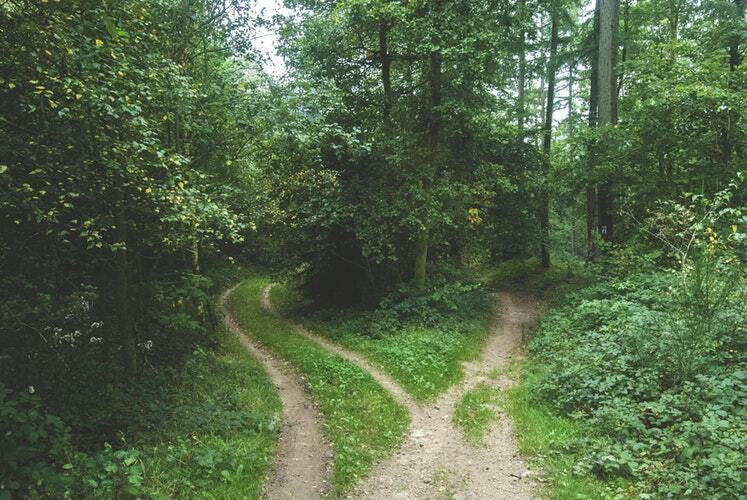 What advice would you give any consultants or aspiring consultants out there that may be at a crossroads? They’re trying to make the right decision. I love how you talked about how you figured it out when you were in consulting and at some point it was not for you. To your point, there’s probably a lot of people out there that either consulting is for them and they’re scared to make the wrong decision or they realize they’re in consulting and it’s not for them and they’re scared again to make the wrong decision. What advice would you give both parties? As I mentioned before, you got to focus on what are the things that you can control and that’s being thoughtful about the decision in front of you. One of the insights that I’d love to share is that every decision has three components. If you think through each of those three components, you can be pretty confident that you’ve taken the time to be able to make a good decision. The first of those three components is really understanding what your objectives are. Your objectives are what is it that you want? To what you had said earlier about that quote that you pulled from my video, it’s not about what is it that you want to make yourself successful, or what is it that society wants for you in order for you to be successful. It’s what do you want in order to be happy? Sometimes it takes some separation and some sifting through things to understand what is it that’s core to you that’ll make you happy and what is it that’s coming from the outside? The first piece of any decision, understanding what your objectives are. The second piece is really getting an understanding of what your various options are. One of the biggest mistakes people make is they’ll look first to the most obvious options, like maybe it’s, “I need to either stay in this job” or “I need to go to business school,” whereas there’re likely other options out there, especially beyond the most obvious ones if you put the time into exploring those. It does take time. It does take effort, but I’ve found that it pays off because there are often other options out there that may be better suited to getting your objectives than necessarily the most obvious ones. The first piece is think through what are your objectives that are unique to you. Second piece is what are your options really, and the ones even beyond the obvious ones. Then the third piece is thinking through what information do you have on how these various options may deliver on your objectives. The key piece here is not to try to gather every single piece of information you possibly can, because in this world, you won’t get perfect information. If you’re already working in consulting, you probably already know it’s impossible to get perfect data if you’ve ever tried to get that from a client. In examining the information that you have, it’s really about not how much information can you possibly get and can you boil the ocean, but instead, what is enough information and specifically which information matters in terms of how these various options deliver on your objectives. If you take the time to really examine and be thoughtful about each of those three components of any decision, your objectives, your options, the information, and how much information you need to move forward, then you can get to a place where you can be confident about the decision you want to make going forward. 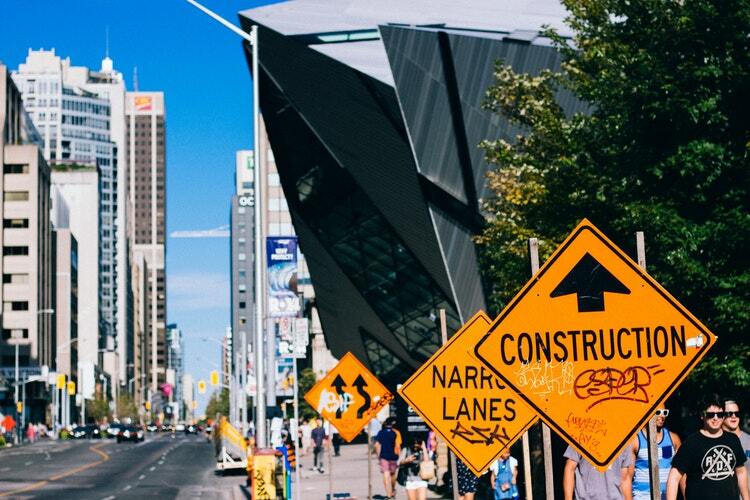 We only have limited time in this conversation and I could talk about decision making for days, so if anyone out there would love a tool to be able to help them think through those various pieces of what you may be facing at a crossroads in your career. I do have a really great tool on my website that’s called the Quickstart Guide to Figuring Out What’s Next, and it’s essentially 28 pages of exercises that’ll lead you through some of that self-reflection to help you sift through what may be really relevant in the decision you’re facing. I love the three-part framework for decision-making. That’s pithy and actionable. Thank you for sharing that with us. If people are interested in reaching out to you and connecting with you, what are some ways folks can contact you? If you love to talk more or get in touch with me, I have a contact form on my website so you can get ahold of me there. You’re also welcome to email me at Michelle@WhatIfYouCould.be. Thank you so much. This is an AMA, like a virtual fireside chat, and you’ve given so much really actionable techniques and practices. Any last thoughts or remarks you want to share with the go-getters? Decision Making: In this world, you won’t get perfect information. The last thing that I would leave you with is again, decision-making doesn’t have to be a stressful thing. It can be an empowering thing. You always have an opportunity to make a decision. Even if you’re in a situation where you feel like nothing is in your control, you can still decide how you want to frame, how you’re seeing the situation, and how you want to feel, and that’s an incredibly powerful thing. Thank you so much for that. Thank you so much for being on today’s show. As I hear everything you’re saying, I’m like, “I can see this being a very popular episode because you’ve just given so many gems,” so I would love to have you again on the show. Thank you. Thank you, my go-getters, for tuning in. This is Christie Lindor signing out for The MECE Muse Unplugged popup podcast. Here’s to your journey to greatness. Michelle Florendo is an engineer by trade, Type-A management consultant, and Fortune 500 brand marketer….turned career coach. After spending years working in the corporate world, Michelle saw too many peers stuck in soul-sucking jobs and golden handcuffs. As someone who understood the frustration of high-achieving professionals, Michelle decided to leverage her decision analysis training to empower others through her career consulting firm, What If You Could. 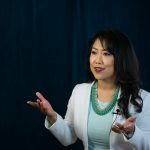 She is known for her analytical approach to career consulting – with a BS in Management Science and Engineering from Stanford University, and an MBA from UC Berkeley’s Haas School of Business, Michelle uses analytical expertise, careful questioning, and personal experience to help her clients craft fulfilling careers. Michelle is a Bay Area native based in Oakland, CA, and has traveled to every continent except Antarctica. She enjoys hip hop dance, making things with her hands (like a giant Pixar “Up” costume), and eating good food.